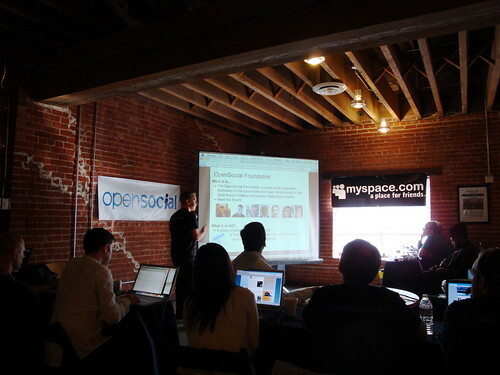 I’m in San Francisco at the OpenSocial First Birthday event, hosted by MySpace. I’m capturing video a, which I hope to upload later today or tonight. In the meantime, I’ll share photos along the way. Looks like there are a couple hundred folks here. 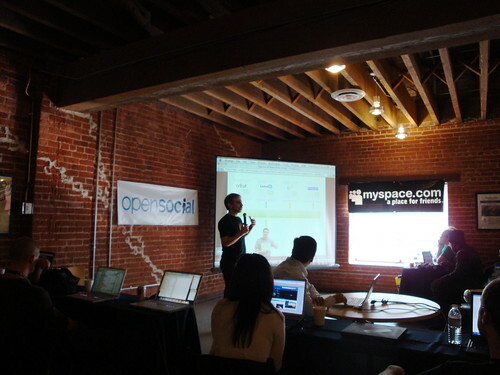 In just over a year, OpenSocial has achieved a reach of over 600 million potential users. 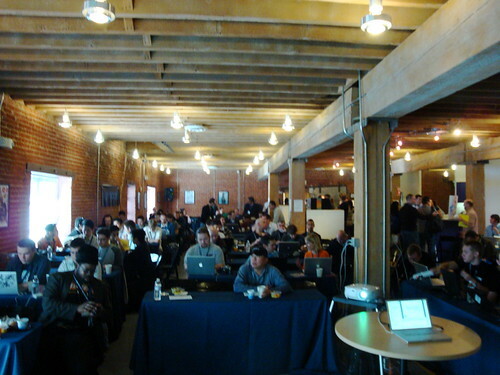 There have been over 300 million app installs. 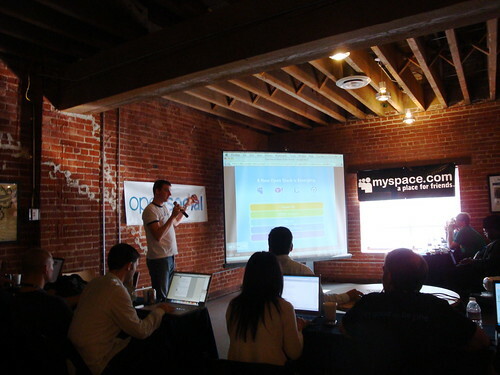 And sites like MySpace and Hi5 are signing the praises of this new platform, and along with many others, contributing to make it more robust. Joseph Smarr of Plaxo was just introduced, as a slide that many have come to love is being projected on the big screen. 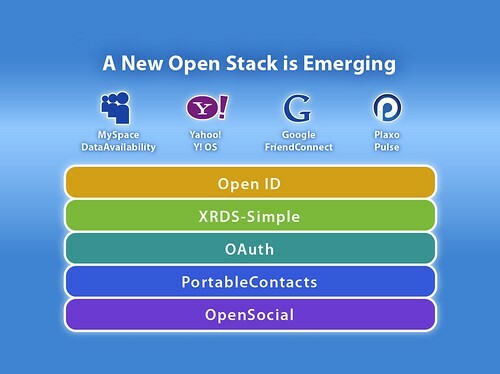 It’s the “new open stack” slide, that shows OpenSocial as part of a larger open ecosystem, together with OpenID, OAuth, Portable Contacts, and XRDS-Simple. Okay. All for now. More later!